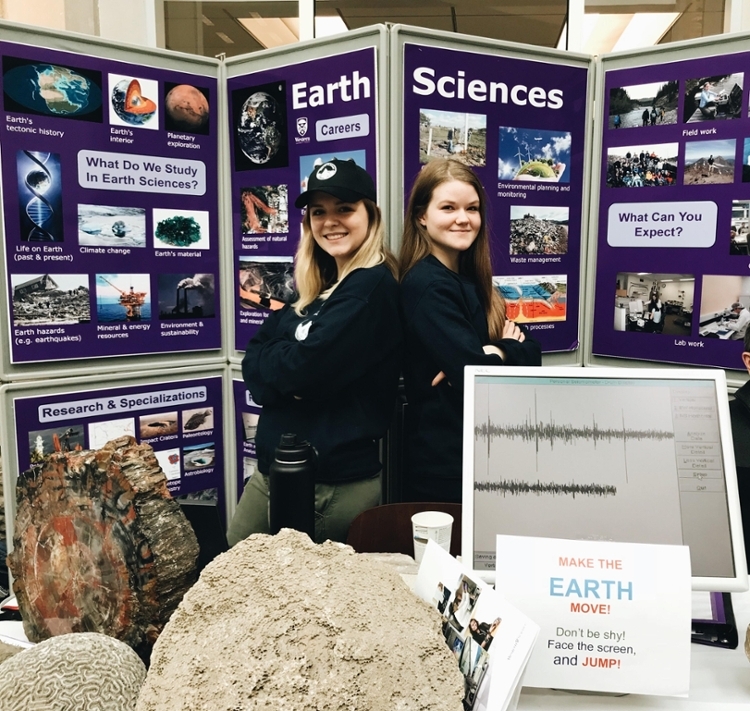 The Earth Sciences department at Western offers a variety of different outreach activities and information to encourage interest in geology, geophysics, and the environmental geosciences to the younger student population. We offer in-class presentations and visits to elementary and secondary schools in the local area, as well as tours of our department and research facilities. Please contact Dr. Cam Tsujita at ctsujita@uwo.ca or (519) 661-2111 x.86740 for more information, or if you'd like to schedule a visit or tour. Thinking of attending Western? Come visit us at Fall/Spring Open Houses, Campus Tours and more!